Kingdoms Hearts is an early/mid 2000s classic for all that grew up playing video games during those years. It is a RPG/adventure series drawing on lovable Disney and Anime characters. The main cast includes the likes of characters such as Sora and Riku, and even more familiar ones like Mickey Mouse and Goofy. 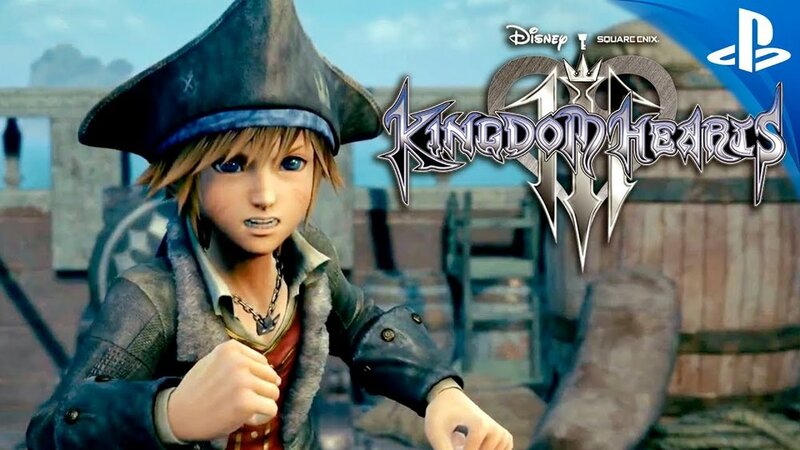 It would be a 13-year long wait for KH fans to get to the recently released Kingdom Hearts III as the previous release was back in 2005 with Kingdom Hearts II. This came as a shock to many as the last time an update on development for the game was back in 2013. At last, Tetsuya Nomura made it clear that Kingdom Hearts III was to be released on January 29, 2019. The first week sales? They were crazy. Square Enix would in their first week alone sell over 5 million units (including physical and digital sales). This would make it the fastest selling installment in the series by far. Similarly, another beloved remake was also on the market, Resident Evil 2, and it also sold units with flying colors. Even now in mid-February, people continue to rush to the stores to purchase the game and relive the memories of their youth. Drake, Cardi B, Gwen Stefani, Bruno Mars, Mariah Carey, and Lady Gaga are just a few of today's biggest celebrities who have recently gained new concert residencies in Las Vegas. A concert residency, also known as “musical residency”, is a series of concerts, similar to a concert tour, but only performed at one location. Drake has recently just signed a deal January 15, 2019 for a Las Vegas Residency at Wynn’s XS Nightclub for $10 million. Drake has been hinting at this deal for a long time. Cardi B has also recently signed for a Las Vegas residency at Palms Casino Kaos venue this spring. The dates will not be available until later on in confirmation and finalization of the deal. Some veterans in the music industry who are still relevant in today's culture have held the title for the longest running residencies. Since 2005, the longest running of residencies is held by Donnie and Mary Osmond with 2,557 shows and Britney Spears leading the top 10 with 667 shows. In Las Vegas, the highest paid residencies are held by artist like Celine Dion, holding first place with 385 million dollars actual gross (income). Jennifer Lopez is also one of the highest paid residencies with $101.9 million dollars actual gross. Las Vegas, has some of the biggest celebrities with the most highest paid residencies. From Drake to Cardi B, or Celion Dion to Britney Spears, we all enjoy their music and shows. One game that has been anticipated since its announcement has been Jump Force. The video game was created by Spike Chunsoft and features many characters from famous mangas and animes. This is a fighting game which allows the player to choose three people they want to fight with and allows them to fight another team of three players. The synopsis of the game is that Frieza, a character from Dragon Ball Z (DBZ), has came to Earth and is causing havoc on the world. Frieza and his villains end up hurting a civilian. Goku and Trunks, other characters from DBZ, come in and try revive the civilian and while they are trying, Trunk ends up giving the civilian superhuman like powers. As time goes on, the manga worlds start merging into one world to which other characters are crossing over and you, as the civilian, help the characters defeat the forces of evil and try and restore balance. Though most of it is basically just three on three fighting matches, it is to also have some bit of drama from the characters. Like people switching sides and even trying to wonder who is behind everything. In Jump Force, you'll meet characters from Black Clover, Hunter x Hunter, Naruto, One Piece, and even more from popular mangas. Las Vegas has many nicknames: Sin City, Entertainment Capital of the World, and the Ninth Island. Vegas has been a hub for many people from Hawaii to move. Liberty itself has an extensive population of Polynesians. If you lived in Hawaii you would be aware of a local restaurant chain called Zippy’s. The restaurant is a taste of home that is being brought to Vegas this coming 2019. The location is yet to be determined but this is definitely something many locals will be excited for. Zippy’s is known for many things from their original chili, to their zip packs. The menu is expected to be just like home. It is a great location for breakfast, lunch, and dinner. Their infamous Napoleon Bakery is also supposed to be making the move to Vegas. Meaning more baked goodies to bring home a little closer to you. Be sure to keep an eye out for it and if you haven’t tried it, it is a highly recommended food spot for you and the ohana. The Knights are sure looking like themselves again. Currently sitting in 3rd place of the western conference neck and neck with San Jose and Calgary. Just a month ago the Knights were not even in the playoff picture. But a eight game winning streak helped turn things around. Also the coming out party of Brandon Pirri who had 9 goals in 8 games after being called up from the AHL. 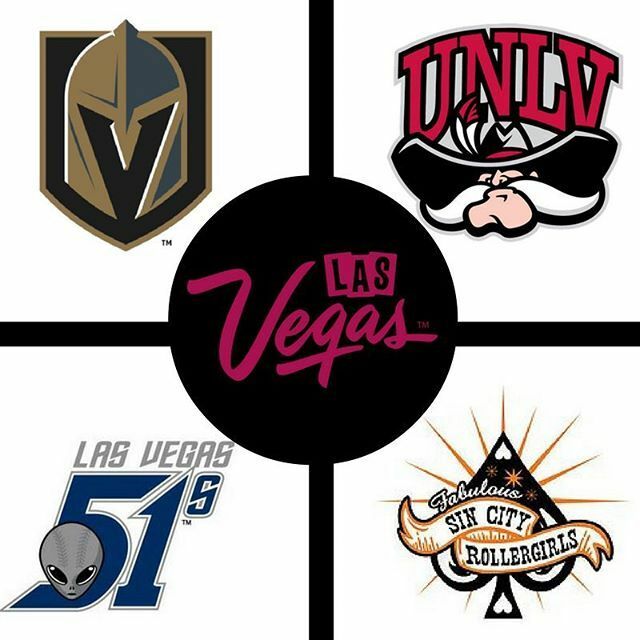 Another reason the Knights may be winning was playing the majority of their last few games at home. The Knights are one of the toughest teams to beat at home. The Key’s to knights to keep rolling are keep playing aggressive. Ryan Reaves does a great job with it. Hard hits, and moving fast. Another key is to stay healthy. Fleury and Max Pacioettry have been on and off the injury report. With them both in, The Knights play a lot better. Lastly, win on the road. The Knights are 13-13-1 on the road. They will need to play a lot better away to be contenders. Coachella: Is it really worth it? Coachella 2019: will it be living up to its long lasting hype this year? 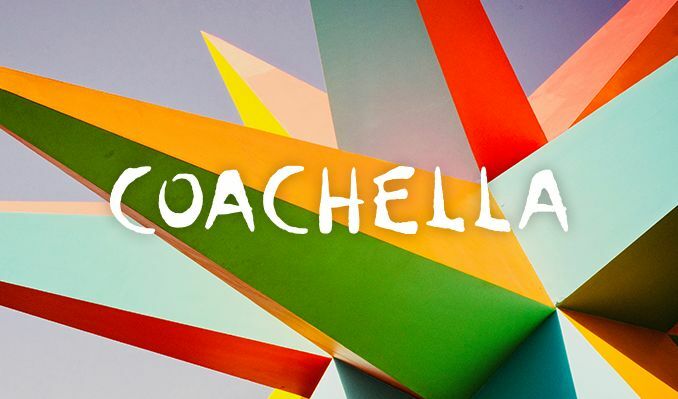 Coachella will begin on Friday April 12th, and it will end on Sunday April 21st. Rumor is the Travis Scott turned down playing at coachella this year which makes you wonder if it will even be that good. The first weekend is on April 12-14 the line up consist of Juice World, Kacey Musgraves, Nina Cravis, and Childish Gambino as well as 53 other performers. The lineup Coachella has for the final weekend, is Anna Lunoe, Bazzi, and H.E.R, and many more incredible performers. There are three passes available for purchase prior to the start of Coachella. The pass price ranges from $429-$999. The first pass available is the General Admission pass which is being sold for $429. The second pass available is General Admission & Shuttle which comes with an any line shuttle pass which is $509. The final pass for Coachella 2019 is the VIP pass. It is sold for $999, the perks included are access to the VIP section and free 3 day parking. Since most of the people are attending Coachella from out of state they have camping options that you can buy range from $125-$9,500. The least expensive living arrangement is car camping which is $125 it is the most popular choice to enjoy Coachella all weekend. The most expensive staying arrangement is $9,500 which is Safari Camping. You get golf cart transportation to the event and free parking all weekend. With Coachella fast approaching people are dying to buy their tickets in advance. Many online websites have began to sell tickets. Websites such as stubhub.com and vividseats.com. But your tickets in advance before they are all sold out. 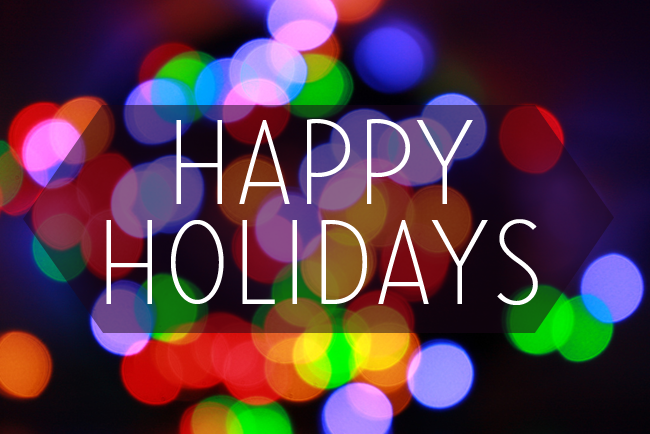 Holiday Playlist: What Are You Listening To? My favorite Christmas playlist is the Carol of the Bells by Trans-Siberian Orchestra. The holiday season is right around the corner. While living in the entertainment capital of the world, there are many things to do this Holiday season. To start, Magical Forest, located just minutes from the Las Vegas strip, gives the perfect holiday experience. From riding a train, tubing, ice-skating, and meeting Santa, you’ll surely find something you’ll enjoy. Next is Toshiba Plaza right outside of the T-mobile arena. It has ice skating, food, and a very large Christmas tree. Also,you may get the chance to catch a Knights game after. Lastly, if you love chocolate and Christmas lights, Ethel M chocolate factory is the perfect place. This attraction includes a walkthrough of bright christmas lights and a tour of the factory. Overall Vegas exceeds expectations when it comes to the holidays. Every September, thousands of different creators come to Downtown Las Vegas for a four day weekend of fun called Life is Beautiful. September 21st through September 24th is the weekend this festival will take place. It varies from musicians to artists to comedians to boat loads of food trucks, everyone excited to be a part of this experience. There are four different types of tickets available to purchase: GENERAL ADMISSION, VIP, V+ VIP, and ALL IN. Each is filled with a different experience. The tickets ranged from $135 to $2,495. “I think it’ll have to be Daniel Cesar, not because I’m a huge fan but to see why everyone else loves and relates to his music so much,” said Omar Haneefzai (12). That weekend’s line up is filled with talent. The four major performers of that weekend were The Weekend, Arcade Fire, Florence + the Machine, and Travis Scott. Followed by artist such as Daniel Cesar, Santigold, and Tyler the Creator and many more that made this weekend one to remember. September 21st was the official date for the start of Life is Beautiful. The performance line up begins with The Weekend to start the night off followed by Death Cab for Cutie, Justice, CHVCHERS, KL grime, Bazzi, Daniel Cesar, and many more. September 22nd, the second day of Life is Beautiful, the performer to start off the day is Florence + the Machine followed by Travis Scott, Miguel, AJR, the Drums, Blood orange. September 23rd, the final night of Life is Beautiful, the last line up until next year will start off with Arcade Fire. DJ Snake as well as First Aid Kit, Gold Link,Tyler the Creator, Lovely the band and so many more will follow. Life is Beautiful is the perfect destination for all music lovers to get together in one place. Listen to their favorite artist, eat some of their favorite food, enjoy the humor of comedians, and look at some beautiful art. After losing his second straight NBA finals to the Golden State Warriors, Lebron James would hit a very busy summer. One of the main things on Lebron’s agenda was, where was he going to play next season? His 100 million dollar contract expired with the Cleveland Cavaliers making him a free agent. Giving him the freedom to sign with any team of his choice. The Philadelphia 76ers were favorable to land “The King”. But as the summer progressed Los Angeles started getting his attention. Their offer was very appealing and they had lots of young talent. The next day after the Lakers met with Lebron, he agreed to sign a 154 million dollar deal to officially make him a Laker. The very next day his hometown, Cleveland, Ohio, removed his banner right outside the Quick & Loans arena. Meanwhile in L.A., there was a party outside the Staples Center with Laker fans going nuts. As always, Lebron didn’t seem to care about what people thought about his decision. Lebron moved on with his summer by going to his son Bronny James’ basketball games. This brought him to Las Vegas. Better yet, Liberty High School. Lebron wasn’t the only NBA superstar at Liberty. 7 time NBA All Star and former league MVP, Russell Westbrook was in attendance. To say the Least, Lebron had a very busy summer.